Starting this Saturday, you can tune into FELT B4E, a 100% digital exhibit at b4bel4b’s gallery in Oakland’s Chinatown. The show is curated by FELT Zine, an experimental art platform and collective. Both FELT Zine and b4bel4b are fluent in the frenzied visual language of the Internet and share a dedication to hosting underrepresented artists and perspectives on their respective platforms. 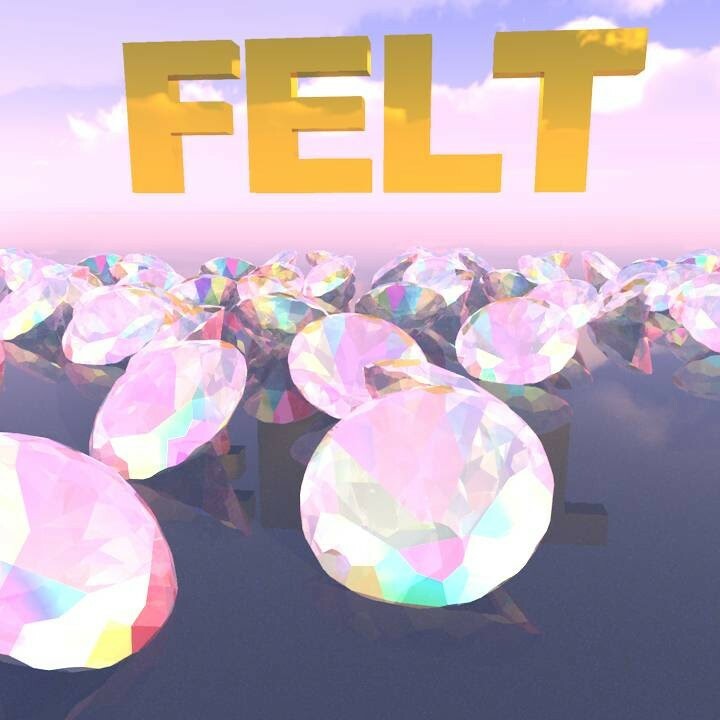 The name “FELT B4E”, aside from being an amalgam of the collaborators’ names, is a nod to the Internet language created by young black youth in America who drive culture online as much as they do offline. Attendees of the show can expect virtual reality simulations that live in Y2K-inspired physical installations, live video streaming and interactive digital art experiences. FELT B4E’s all digital format will host weekly rotating pieces from a rich lineup of artists including Terrell Davis, Jeremy McKeehen, Ruby Gloom, Rafia Santana, Jawn Billetes, Simon Falk, Nicole Ruggiero and more. The Express chatted (digitally, in keeping with the theme) with the show’s curator FELT Zine founder Mark Sabb and b4bel4b’s founder and artistic director Tiare Ribeaux about the unique show and the collaborative process that brought it to life. East Bay Express: What are you most excited about for folks to see at FELT B4E? Mark Sabb: I am really excited for people to interact with the new virtual reality experiences which are being seen for the first time at our opening reception on March 11, along with some of the exclusive videos and digital 3d renderings that people have made for the exhibitions. Tiare Ribeaux: I think I’m most excited for people to see the level of diversity there is of artists making net art / post internet art, whatever you want to call it. It’s an international community of people from all background and levels of experience, many who are self taught and just passionate about creating the work so that it exists. This type of work and community really transcends borders and genres, it is it is a powerful medium to showcase at this time as we are feeling the weight of new borders rising all around us, under the new administration. To bring these artists together in this space - I’m excited for people to be able to be immersed by that presence. EBX: In the scope of b4bel4b's past shows, what stands out about this one to you? Ribeaux: This is the first time we plan to have a Virtual Reality experience within an immersive physical (IRL) installation with artist Terrell Davis in collaboration with Mark Sabb, layering the physical and virtual worlds together. I’ve experienced other VR demos in empty white rooms and minimal surroundings, but it will be exciting to experience two hyper-saturated immersive environments overlapping. EBX: You all do collaboration so well. What's the best part of working with other artists? Sabb: The best part about working with B4be L4b is that they truly care about fighting for community and the underrepresented. Their dedication to creating a safe space for those who need it is unmatched by any other space I have come across. Ribeaux: This space and these shows wouldn’t exist without collaboration - we bring new ways of creating and exhibiting work by collaborating together. None of us could do this alone. Other artists in new media provide refreshing new perspectives and methodologies, and I am constantly inspired by the work they create. Often I work with other artists to determine new ways of how their works will be experienced, and it is one of my favorite activities to reimagine what an exhibition can look and feel like. It is one of the best parts of my job. Free. Open Saturdays March 11 - April 1. 184 10th St., Oakland. Online RSVPs recommended because of limited gallery capacity.